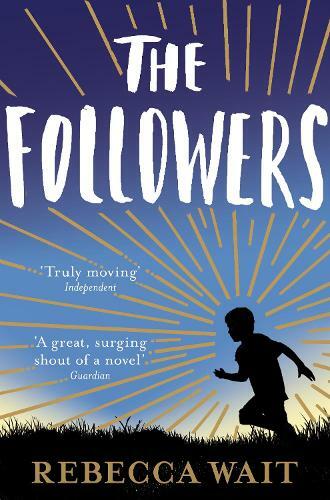 Rebecca Wait, whose second novel The Followers features a strong, manipulative character, has written a piece on the topic of coercive control. Rebecca Wait’s second novel The Followers explores fanaticism and the peculiar power of a cult leader over a group of individuals. The novel begins years after Ark - a cult based in the Yorkshire moors - has disbanded. Judith is a woman who regularly visits her mother Stephanie in prison; switching between past and present, the novel uncovers the suffocating relationship Stephanie shared with the intensely charismatic Nathaniel, a relationship which leads to her ultimate imprisonment. Whilst researching my novel The Followers, about an act of violence within a small, isolated cult, I grew obsessed with the idea of coercive control within relationships. I asked myself what it would take for a ‘normal’ person, with normal moral boundaries, to commit an ‘evil’ act. It seemed to me that this would require a complete loss of the person’s sense of self. If you are forced, through a gradual chipping away of your self-esteem, to forget who you are, if you are remoulded in someone else’s image, then eventually your moral compass may become so confused that you are capable of anything. It feels impossible to talk about domestic abuse or coercive control at the moment without mentioning The Archers. Opinion still seems divided amongst listeners as to whether the Rob/ Helen abuse storyline has any place in cosy Ambridge, but I think it’s been done brilliantly. Rob is a genuinely frightening figure, and has been capable of such falsely tenderness at times that you could find yourself as a listener almost falling for his act, wondering if you’d judged him too harshly before – wondering, like so many victims of domestic abuse, if the problem is you. Coercive control within cults is, of course, not the same as in domestic relationships but there is an interesting overlap. Charles Manson, for instance, was a highly skilled manipulator; he identified his followers’ weaknesses and exploited them. Susan Atkins, Patricia Krenwinkel and Leslie Van Houten all killed for him. This is not to exonerate these women from blame, but without Manson’s coercive influence, it seems highly unlikely any of them would have committed murder. As Linda Kasabian, another member of the Manson Family put it, "We always wanted to do anything and everything for him." This was the kind of character I wanted to create with Nathaniel, the self-appointed ‘prophet’ in The Followers. He identifies Stephanie, a struggling single mother, as someone vulnerable to exploitation and then he grooms her until she is so lost that she will expose her own child, as well as herself, to unimaginable horrors. How far Stephanie is to blame for what happens next is a question that continues to haunt her daughter Judith, even as an adult. Writing the novel, I didn’t view Stephanie as a ‘bad’ person, or even as markedly weaker than the rest of us, and I don’t now. If researching The Followers taught me anything, it’s that almost all of us are capable of extreme cruelty and violence, if only the conditions are right (or rather, wrong). An extreme and harrowing example is the Rwandan genocide, in which neighbours turned on neighbours and a huge amount of the killing that ensued was carried out by ordinary civilians, not by soldiers. None of this is very reassuring, but there is a positive side. If we recognize how vulnerable we all are to manipulation, how fragile our sense of self can be rendered under particular influences, how fluid our moral boundaries can become, then at least we can guard against it. Likewise, the more aware we are of the subtle and insidious signs of coercive control and domestic abuse, the better equipped we are to resist. This is not to say it is easy to resist. It isn’t, as The Archers has demonstrated so well, and as any victim of domestic abuse will testify. But just being able to acknowledge what is happening is the first small step to safety. There are plenty of Nathaniels out there. By identifying them, we begin to diminish their power. The Followers is available in paperback now.